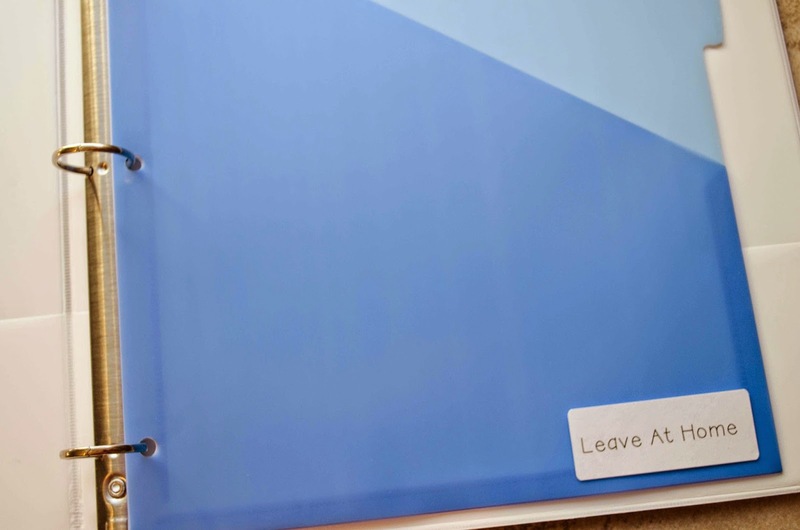 In our grade level, we have our students take home a binder daily with their homework (for the whole month) and many other items. It’s a great way to empower them with taking on responsibility. Well, I should clarify that the students play a role in the daily responsibility but it is also up to the parents to do their part. Here is a GRIT binder. Got Grit? 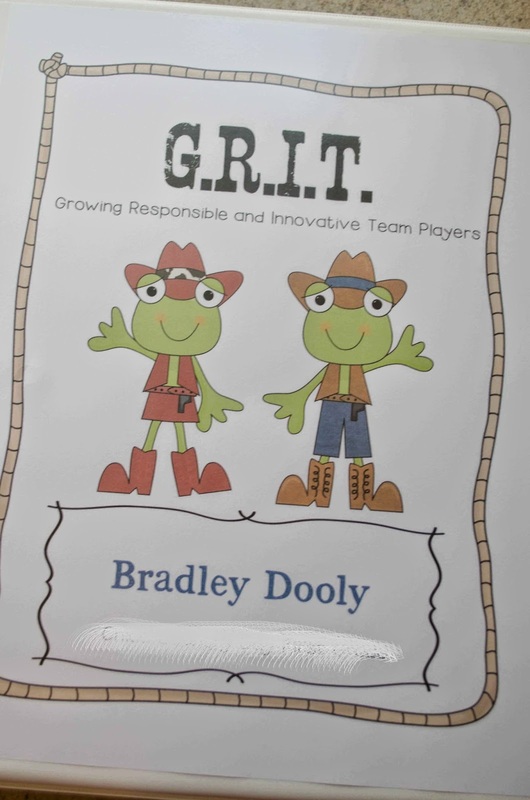 is our school-wide theme this year, so I am going with a GRIT binder. On the inside I put in ways to contact me, the school and our after school program. I also put in a list of class names. These pages aren’t in yet because I don’t have that info. I put a pocket page in with a ‘leave at home’ sticker. There may be important notes in there, I always hope that the parents read the notes. Some do, some don’t. This is what I mean by the parents need to be responsible too. Moving on, I have a section for the students to place any songs, poems, or other items to read that I have printed out for them. They usually become an expert at them and they can read them as part of their homework. The last section is the homework tab. We plan and copy homework for a whole month, yes I did say a month. Our grade level team rotates gathering the homework each month and it is great. We aren’t scrambling to plan homework each week, just once a month. I will go into more detail about how we do our homework in another post… coming soon. We also put in a spiral notebook into their binder for their journaling strips. 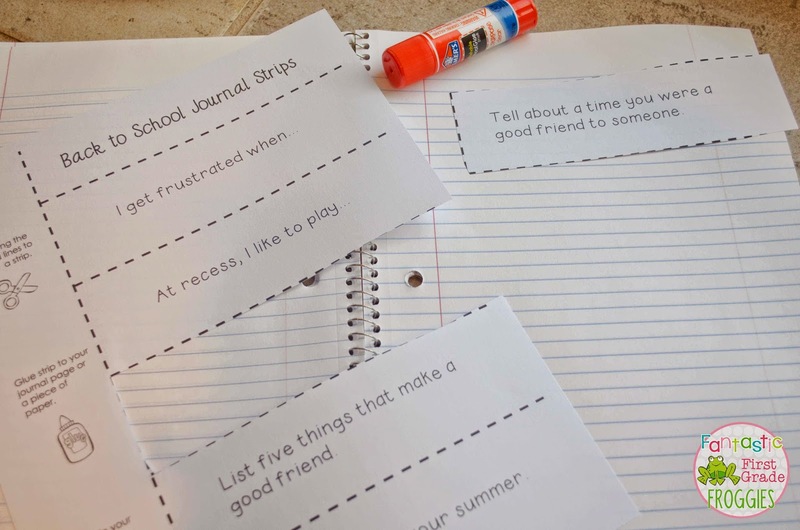 We use journaling strips as part of their homework, but they can also be used daily. 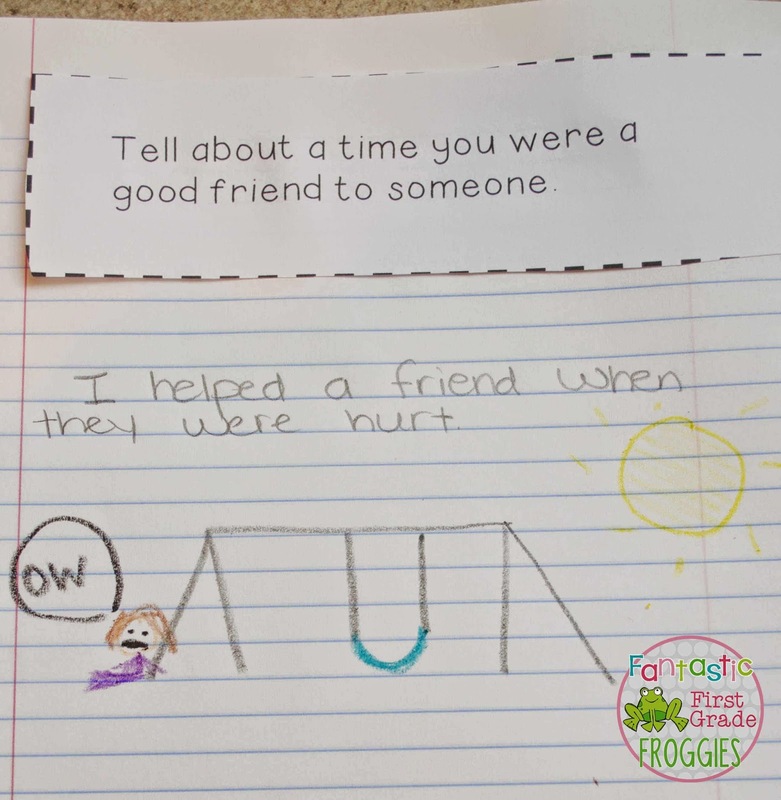 With the journaling strips, the students choose their prompt, cut it out, glue it into their notebook and write. So it’s writing and some fine motor cutting practice put together with one activity. If you are interested in the year of journal strips, click below. You can also get them by the month by clicking here. Whoa, long post! I’ll share our homework soon in another post. Thanks for stopping by! I get so frustrated with parents not reading the information I send home! We have folders that go home everyday. Each grade in the school has a different color. One side says 'Leave at Home' and the other side says 'Bring Back to School'.